Today’s Style Jolt is for the home! I’m always trying to find cool easy ways to add a lil joie de vivre to, well, just about everything. My bath is my sanctuary & I’ve found a fun, easy & inexpensive way to add a welcome shot of whimsy to my personal spa. 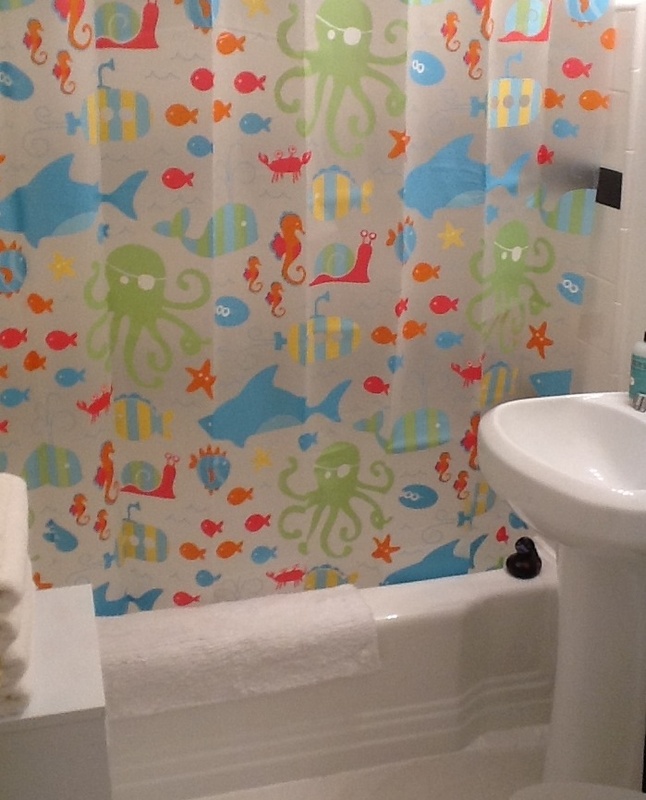 Simply add a fun shower liner! This one is actually from the kids section at Target and cost… Wait for it… $8.99! How can you not be happy to start your day with striped submarines, a family of starfish, blue & green whales, and a one eyed octopus who thinks he’s a pirate? This entry was posted in Fashion, Fun, Home Design on March 4, 2013 by Marcellas Reynolds.